On May 19th, I’m going to start what I hope will be a successful Job Search Experiment. 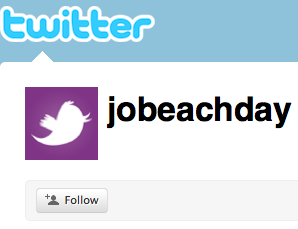 If you do nothing else, go to http://www.twitter.com/jobeeachday and signup to follow JobEachDay. That’s it. What will I be doing with JobEachDay? Read on, and I’ll tell you. I think this could be something great for job seekers everywhere. It’s never been done, but it will only work if we get a lot of people to participate. What is my experiment, exactly? My experiment doesn’t involve job boards. It doesn’t involve employers posting jobs. It involves all of us. It involves job seekers helping other job seekers. It’s a true experiment in crowd-sourced job seeking. Basically, my experiment is this: each day I want to tweet someone’s job search. And I want all the twitter followers to help that person find a job. @redfintuna is a Graphic Designer seeking design work at any level in the Metro Detroit area of Michigan. What will then happen – hopefully! – is all of you following on JobEachDay on twitter will see that. If you have ANY leads, advice, comments or just anything to help @redfintuna, you will send him @replies to his twitter account with those leads, advice or comments. I will then contact RedWingsFan2343 and ask him what sort of a job he is looking for. Then, that day, I will post RedWingsFan7943’s job seeker tweet. @RedWingsFan2343 is a fundraising manager with extensive experience working for govt. and non-profits. He is looking for a job in the Cleveland, OH area. And that’s the idea. I want to do a crowd-sourced job search twitter experiment. Each day we post a job seeker. Each day that job seeker gets tips. Whoever gives the best tips to that day’s tweet gets their OWN job search tweet the following day. What if we got JobEachDay to 10,000 followers? Suddenly, it’s job searching by crowd sourcing! It’s shouting the job you need out into the ether and getting an answer back from the void. It’s using the wisdom of tweets! The goal is to post the job someone is looking for each day (several each day if we really get rolling) and all of us pulling together to help that person or persons find a job. So, go to twitter and sign up to follow JobEachDay right now. For more on why and how I think this will work, keep reading after the jump. For more on what you will get out of participating in this experiment, keep reading after the jump. I’m just getting this experiment off the ground, and it’s only going to work if we can get a large group of people to help out. If it works, it could be a really powerful job search tool. So, the long and short of it is, if you’re in on the ground floor, it’s more likely that you’ll be one of the first job seekers I’ll pick to tweet. And every time you help someone else who’s job request has been tweeted, you’re increasing the chances that we’ll all be helping you next! I’ve been in the business of resume writing and helping people find jobs for more than a decade now. After thousands and thousands of clients, I’ve found the old saw to be true: Networking is by far the best way to find a job. Think about it in your own career. Think of all of of the jobs you’ve had. How many did you get because of someone you knew? I bet it’s the majority. Maybe they didn’t hire you directly, but maybe they put in a good word for you, or told you the right things to say or the right people to talk to. Now, the problem with job search networking is that it’s limited to who you know. If you happen to know someone who can get you in at a place you’d like to work, then great! Your job search is over. But what if you don’t know the right people? Short of running into them at the bus stop and striking up idle conversation (and man… I see random connections like that happen all the time) there’s no way to get the info you need! So the job search networking game is asymmetric. Somewhere, someone out there knows how to get you the job of your dreams. But you don’t know where they are! I’ve been obsessed for several years now with this problem of making the random connections work! You, dear reader, might be looking for a job in politics. Well, I have a brother who is high up at a lobbying firm in DC. Wouldn’t you like to get some contacts from him? Or… my wife works at FedEx. Maybe you’ve always wanted to drive one of those trucks around all day. It’s a fun job, and the pay and benefits are fantastic. But why would I want to give you any of that info? There’s nothing in it for me. I WOULD be motivated to tell you what I know, if somehow it would mean that the someone out there who has the inside scoop on the job I wanted would then be motivated to help ME! And that’s what I’m trying to do with JobEachDay. Tweeter X is looking for a job in finance. But she sees Tweeter Y’s request for a bartending job. Tweeter X tells Tweeter Y about the help wanted sign at her local bar and grille. Tweeter X then get’s to tweet her finance job request. And someone out there there is a Tweeter Z who knows about a finance firm that is hiring. In short, I’m trying to create a virtuous cycle. Job seekers helping other job seekers. You help someone else… you in turn get helped. Sure, it would also be great if people started helping people out of the goodness of their hearts. Maybe it makes you feel good. It’s a mitzvah! Your good deed of the day. Either way, I just want to see what happens if we can get a large mass of job seekers together pooling their collective intel on the job market. But hey. It doesn’t have to be like that. If you have any advice you think might be helpful… ANY advice or info at all… why not share it? Even if you don’t KNOW of a job, anything you do know might be helpful. Any advice, any help… we’re just trying to crowdsource job search advice from whoever has it. And if you have something that might help, somewhere out there there’s someone with advice that could help you! I posted this early so we could get the word out. This will only work if we can launch with several hundred followers. So, if you’ve signed up to follow? Great. Please tell people about it. 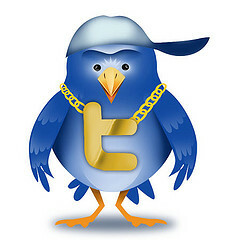 Tweet it. Facebook it. Email it. Novel idea. You’ll have my #HireFriday support. Anything that we can do to help job seekers is a good thing. Are you familiar with @Tweetmyjobs and @tweetajob? You should connect with them. I love what you’re doing. I just signed up to follow you (from my RawFoodsNewsMag account) and I hope you will feature me as a job seeker! I’ve got tons of experience as a writer and editor and proofreader and haven’t been able to find a job in a year. I also posted about your twitter account on my facebook page. Lots of good luck with this!!! I hope that this works. During the past year I have often gone weeks without a solid job lead. I love this idea! I noticed you’re over 200 followers already, so I hope that number keeps increasing! Are you limiting this to the United States though? so people without jobs will be the ones helping other jobless people find jobs? good luck. Corina: It’s open to anyone anywhere. You never know who might have some info for you. Anonymous: Yes. That is exactly the experiment. If you’re out of work, you might not know of a job for you… but you probably know a lot about different jobs you might not be right for. Great! I’m excited about getting involved, then! That is one clever way to harness the power of Twitter. Cheers!